Egypt will formally protest to FIFA about the performance of Paraguay referee Enrique Caceres whose decisions they feel prejudiced the outcome of their World Cup game against hosts Russia in St Petersburg on Tuesday. 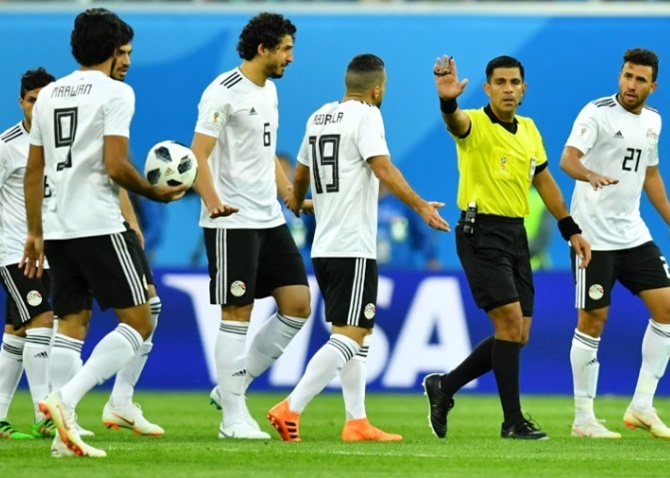 "We want an investigation into the performance of the whole refereeing team," Egyptian Football Association president Hany Abo Rida said on Friday. "The referee should have used VAR (the Video Assistant Referee system) to check and award the penalty. They should have also seen that Fathi had been pushed. "It is our right to complain and ask for an investigation," he said. "I know people in Egypt are not happy with our results but it is our first tournament in 28 years. We lacked experience," Abo Rida added.